development & career pathing tools. The smarter way to do employee assessment, development and engagement. Keeping your best talent on board and striving towards new heights benefits everyone. 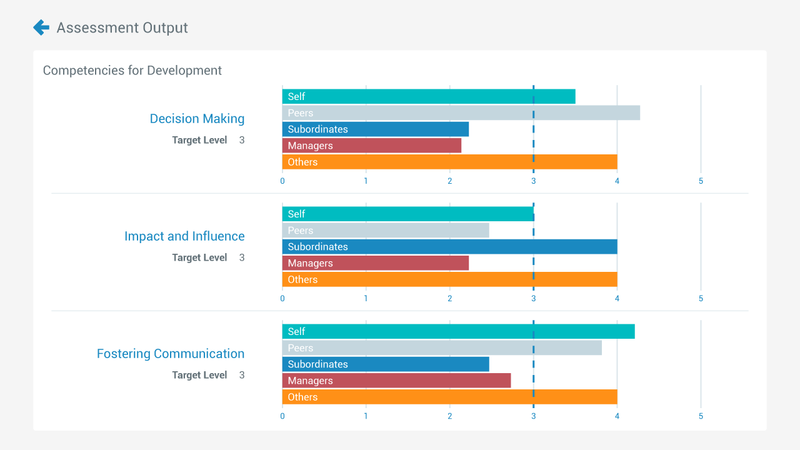 CompetencyCore’s career management tools, based on Smart Job Description Technology, improves the outcomes of your assessment, development and career pathing programs. Empower your team to measure, develop and nurture their best individuals. Check out the video for a quick overview, then get your free demo. See our Career Management Software in Action. Turn your best talent into your most loyal talent. Assessment and development done right. If you can't measure, you can't manage, and CompetencyCore gives you the tools to do both. Assess your people with easy-to-use tools, and provide them with the resources they need to develop and flourish. Identify gaps, and establish plans that seek to address those gaps effectively. Learn more about our competency assessment software. Don't just tell employees what their future may hold. Show them. Provide your employees with career path navigation that lets them explore advancement opportunities in your company. Empower your employees to drive career progression conversations and chart their own course. Learn more about our career pathing software. Give your managers the people insights they've been asking for. Use the data to create succession plans, establish teams, and manage people more effectively within your organization. Engage your employees like never before. Identify strengths and weaknesses with competency-based assessment tools. Enable employees to build targeted development plans to address gaps. Give employees a visual roadmap to build and chart their career path. 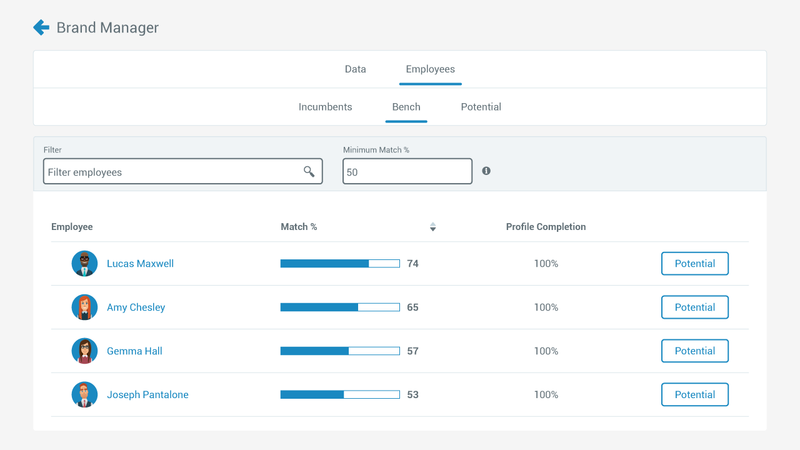 Provide managers and HR teams with actionable employee and job data.